If you’re looking to get your smile back, it is possible to replace missing tooth roots with dental implants. They offer the solution to missing teeth for people who may feel self conscious with a denture, or who do not want to use healthy teeth to support bridges. 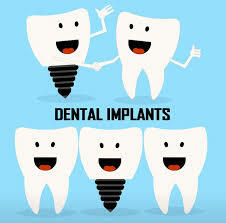 For further information on what a dental implant is click here. Please call us on 01926 499991 and ask a member of staff if you require more information on whether implants could help you.